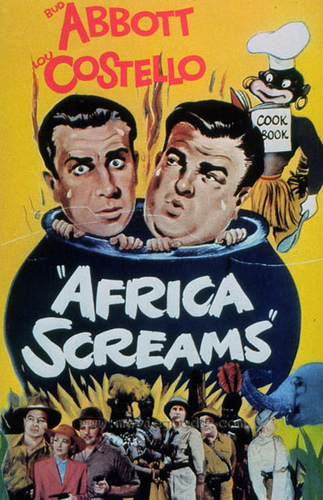 Apparently, this movie has appeared in the number two spot on a list of best British movies, and I only hear about it in discussion of lesser-known great Orson Welles movies. Welles is playing the (supposedly?) dead man, so, while even in the late 40s, you don’t cast Orson Welles as a corpse, his presence might be inflated by the fact that he’s the only recognizable name in the cast. I’m pretty sure this movie was recommended to me, and that’s why the title sounded familiar, but I don’t really remember what basis the recommendation was made on. It was probably close to the reason it caught my attention now. The stars include Red Skelton and Ricardo Montalban. The leading lady is Esther Williams, who I’m not really familiar with, though apparently MGM never missed an opportunity to put her in circumstances that involve swimsuits. It looks like a basic romp with a swimming and polo theme (and perhaps water polo? ), and with musical numbers included in a runtime of not much past an hour and a half, not only a light story, but light on story. Just a bit of fun with some Hollywood legends. The Inspector General. Warner Bros. 1949. I was only familiar with this story previously through a Wishbone adaptation of the play. What I recall of it is rather different from the summary I’ve seen of this movie, though on the one hand this is credited as “suggested by” the play, admitting they’ve walked rather far away from it, while Wishbone could well have bowdlerized the bungled assassination attempts mentioned as being in this movie. Having quickly scanned a summary of the play, I’m inclined to think it’s more the former than the latter. 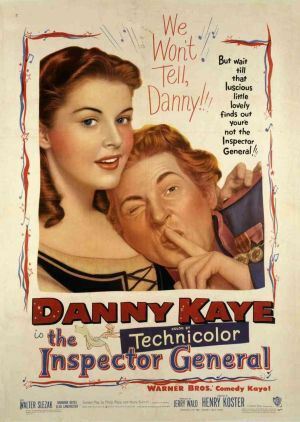 It’s a rather surprising notion to do a story about corruption in the Imperial Russian government as a cheery-looking musical starring Danny Kaye, no matter how farcical the plot may be.The songs should either be quite something or a lot of nothing.